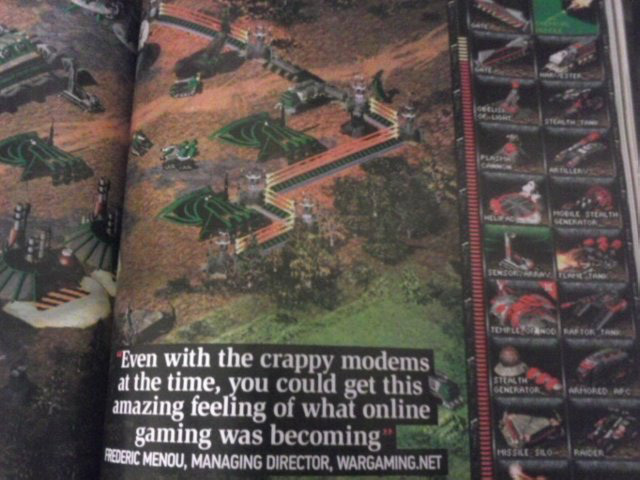 Congratulations, a screenshot of your mod has been printed in gamesTM! Albeit not recognized... although perhaps even better than that your mod is a substitute for the real game! It looks great in the magazine actually, the quality of your work looks better than the original for sure. gamesTM ask a few developers each issue what their favourite / most influential games are and why. This time someone answered "Tiberium Sun". Clearly not his favourite game. Whatever, it got your mod in printed media. Sorry I don't have a better camera but here is a bad image of it, hopefully so you can regonize your handiwork. Lol, they must've simply googled "Tiberium" Sun and that's what they got. I'm not sure. It would be interesting to know whether this is a screenshot someone else took. I couldnt find it on the ModDB page at any rate. They also had a screenshot from TD 1.06 that was clearly in an online map (so probably also using CNCNet. The images are perfect quality too for a double page spread. It wouldn't surprise me if one of them just played these things. Welp, it's been ages since a CNC mod got featured in a magazine, so I'd say it's well deserved. Mistaking a modded version of the game for vanilla is getting more and more common these days if you ask me. People don't remember what the 15+ years old game looked like. Well, considering only 3 units and a few cameos look different on the entire screen with the rest using vanilla TS assets, it can be mistaken quite easy for the original game. It would be something different if they used TI with the all new buildings, terrain and units and sold it as vanilla TS. So the mag did a quite good job taking a good looking picture that hasn't been printed already a thousand times. The name of his mod is misleading too. 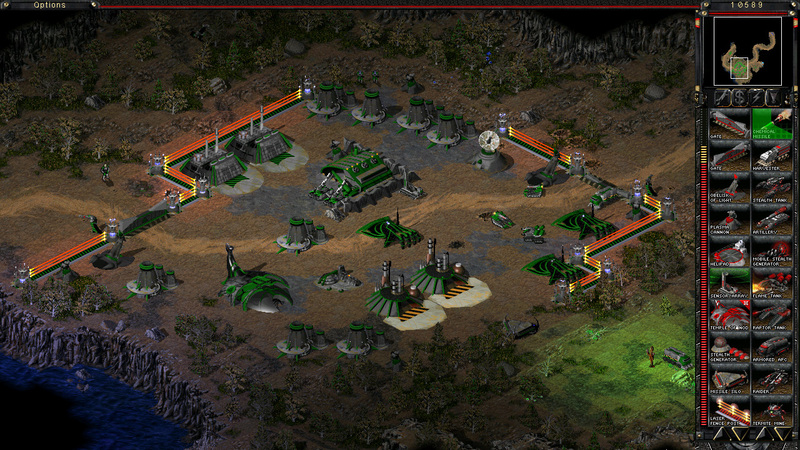 The Second Tiberium War is nothing else but Tiberian Sun.